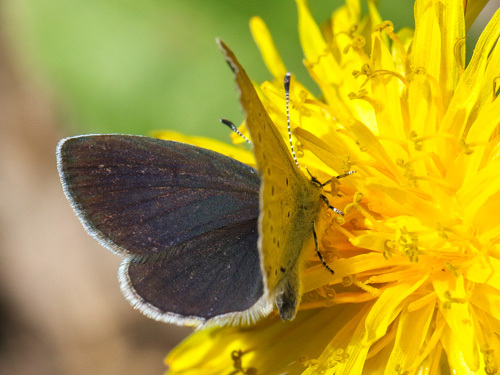 This is one of Europe's smallest butterflies, but its size is very variable. 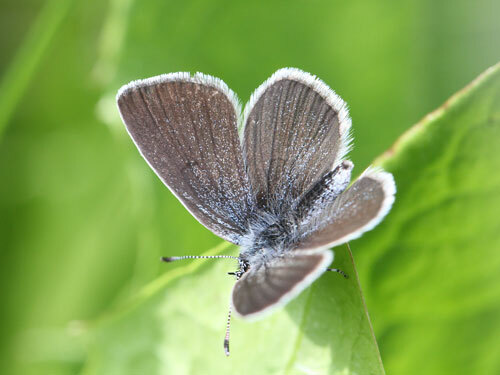 Small ones measure little over 10mm in wingspan. 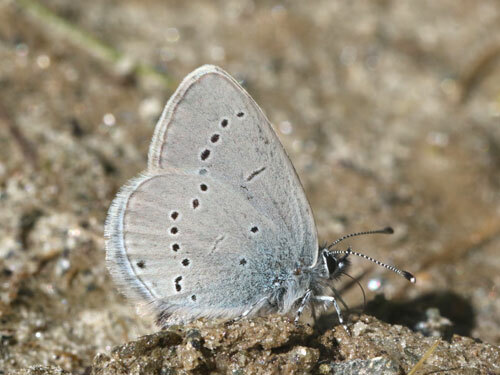 It is widespread and often common. 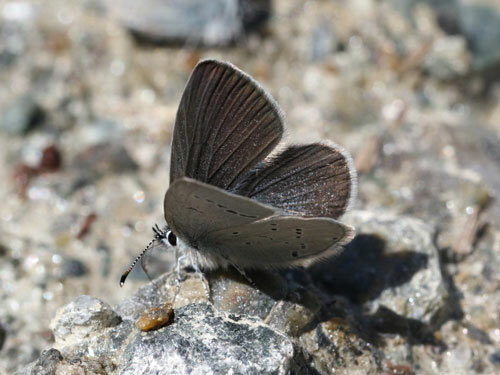 In certain conditions in mountains they can be found in huge groups taking salts on hot days. 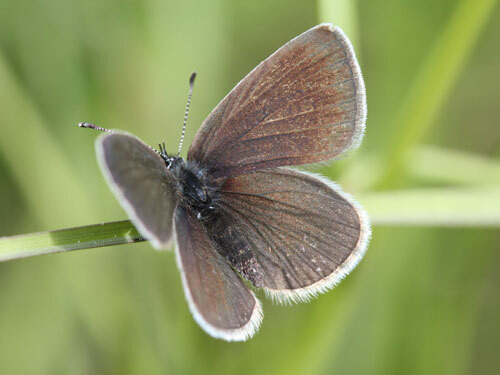 Identification & Similar species: Both sexes are rather dull brown on the upperside, the male has some blue basal scales. 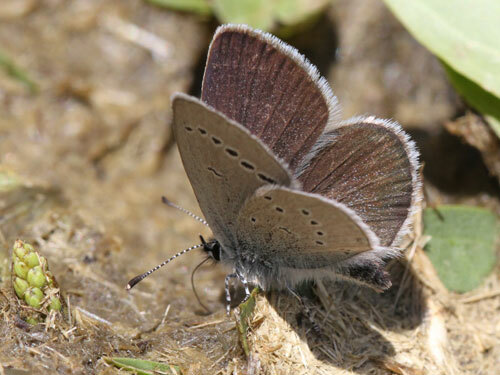 They are very similar to several other species. 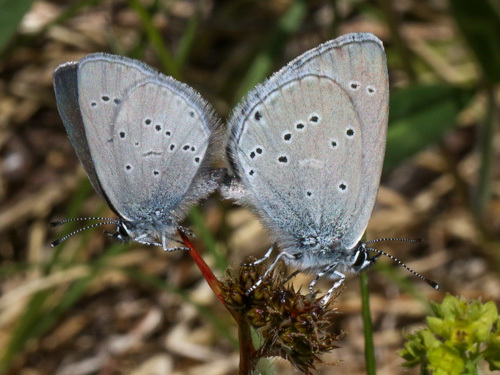 Males can usually be distinguished as follows, but females are so similar that identification is not possible in most cases. 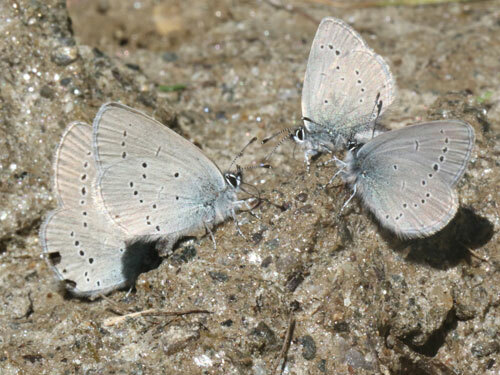 Male osiris and Lorquin's blues, C. osiris & C. lorquinii, have bright blue uppersides. 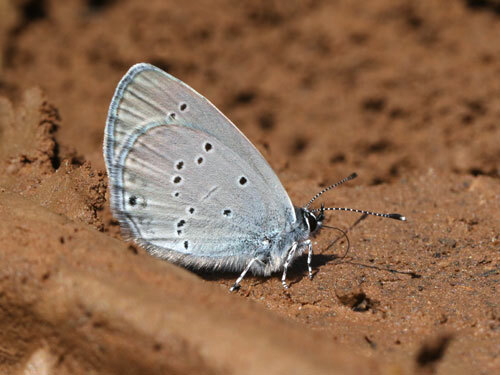 The former is found more or less commonly in parts of southern Europe and the latter does not overlap in range being found in south Spain and north Africa. 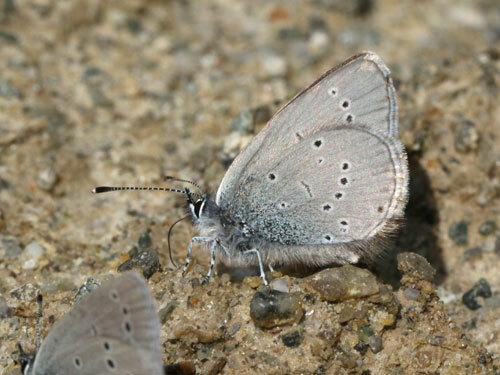 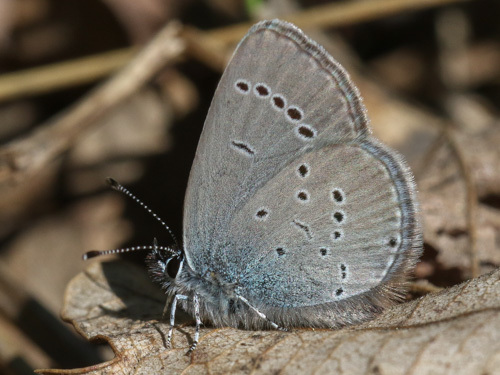 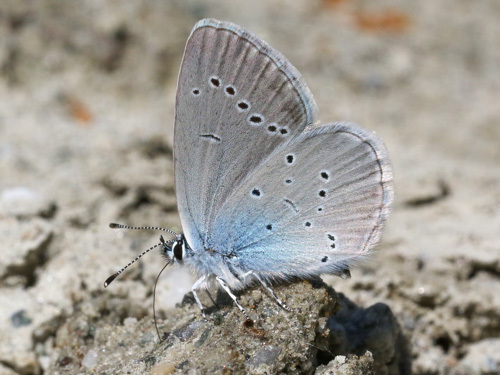 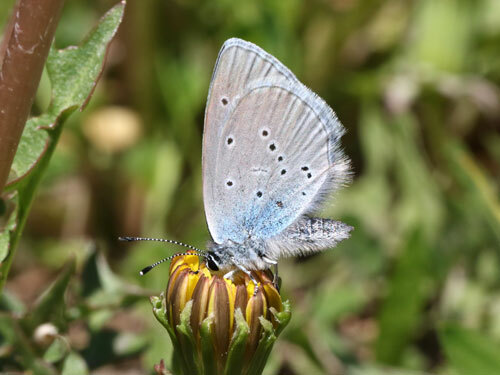 Carswell's small blue, C. carswelli, males are extremely similar. 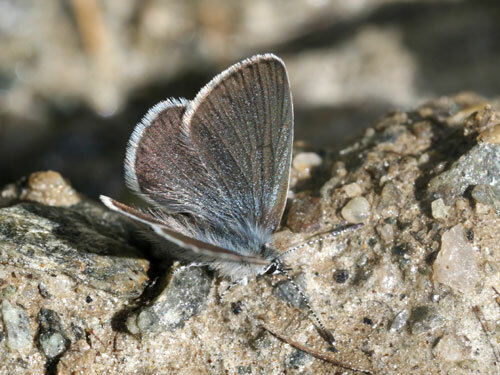 It is now usually considered a subspecies the current species. 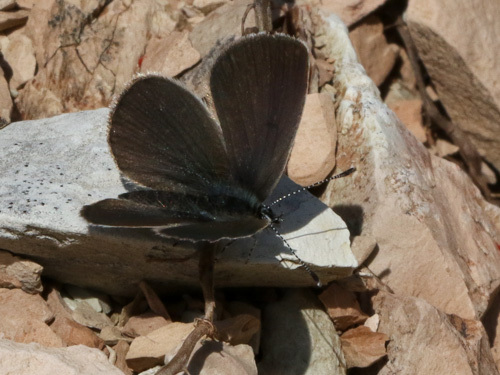 It is only found in southeast Spain where C. minimusdoes not fly. 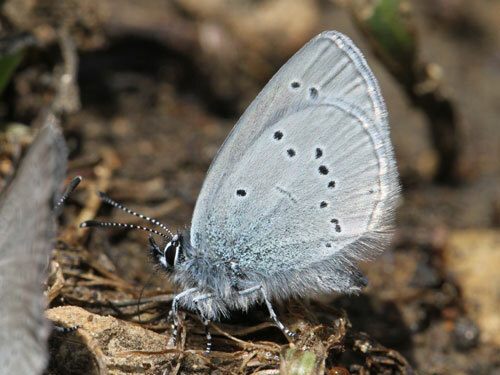 The short tailed blues Everes have tails and blue males, but sometimes the tail is absent. 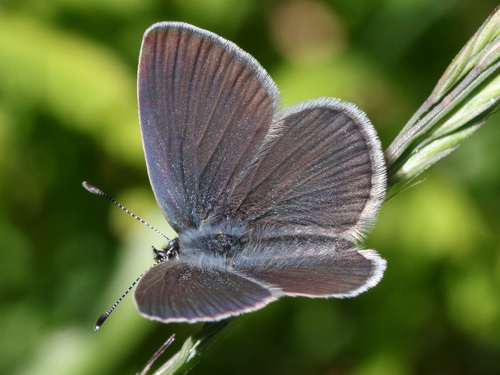 However there is always a small kink in the black marginal line where the tail would be expected, in the small blues Cupido this is a smooth curve. 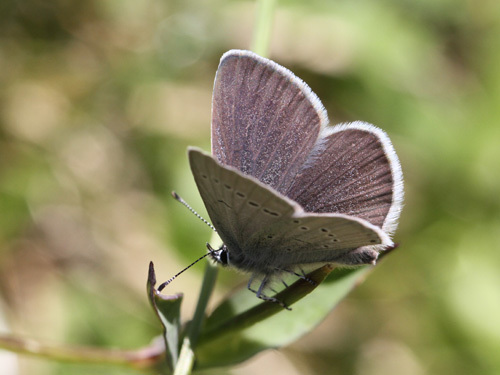 Distribution & Flight: Widespread, it flies from northern Spain to Greece to Scandinavia. 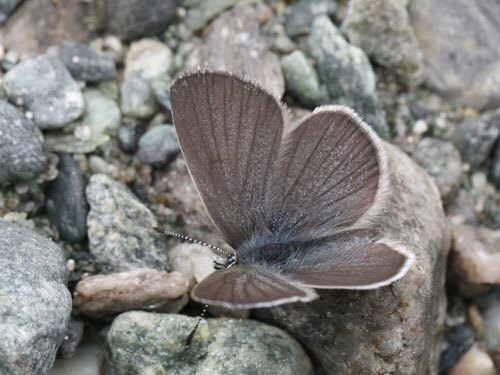 It is sporadic in the northern part of its range. 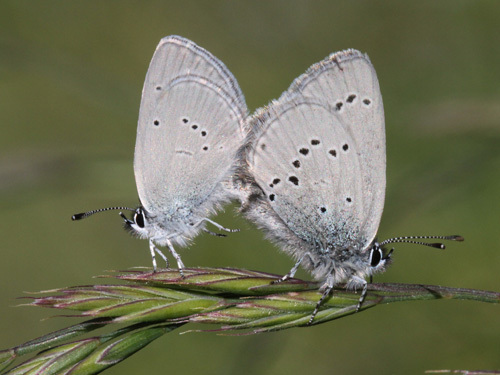 One (June/ July) or two broods (April/ May and July or later) depending on location. 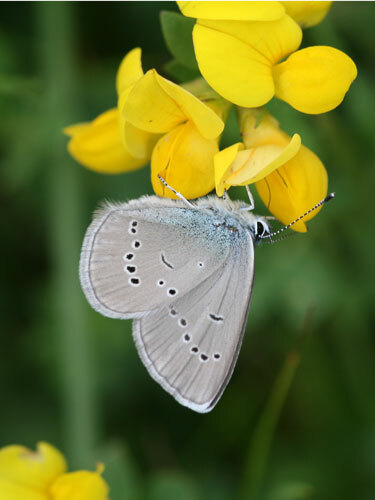 Habitat & Behaviour: The larvae feed on the seeds of kidney vetch and the adults can usually be found where this plant grows.